A 29-year-old Albanian has been arrested after being declared wanted for participating in a criminal group. Bledar Zedi, resident in Tirana has been arrested today, for the purpose of his extradition to the Italian state. 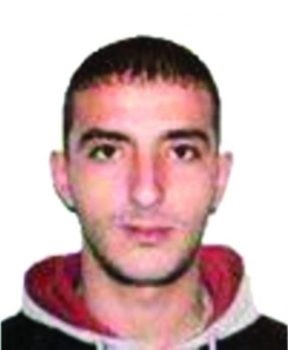 The Albanian has been convicted by the Genova Court with 10 years in prison for "Organized theft in a criminal group". "Police Services of Commissariat No.3 in cooperation with Interpol Tirana, arrested temporarily for extradition to Italy, the Albanian citizen declared internationally wanted: Bledar Zefi, 29, resident in Tirana. The Genova Court sentenced this citizen to 10 years in prison for the criminal offense "Armed theft organized in a criminal group" provided by articles 61, 110, 624 and 625 of the Italian Criminal Code. Further actions for this citizen will be carried out by the Interpol Office Tirana," the police announced.